Hey, you got $130,000 and a dream to go super-fast? Then you might wanna get a gander at the 2018 Ford Mustang Cobra Jet. 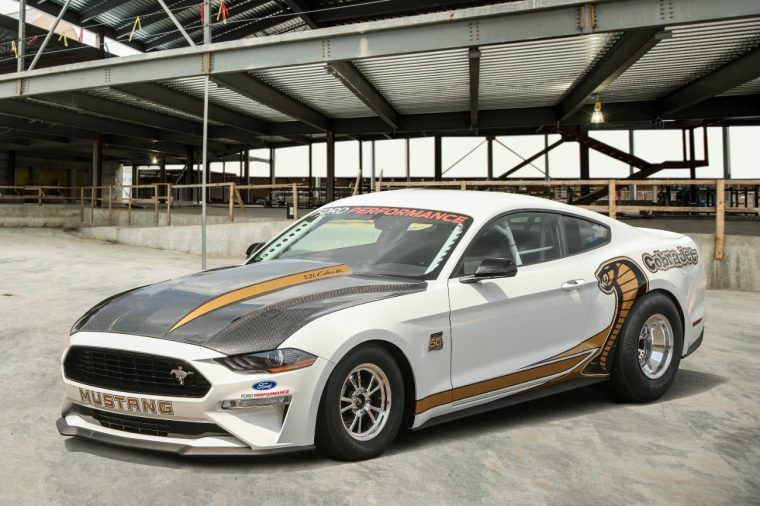 The Ford Performance 50th Anniversary Mustang Cobra Jet turnkey race car has been revealed, and, oh, is it ever a doozy. 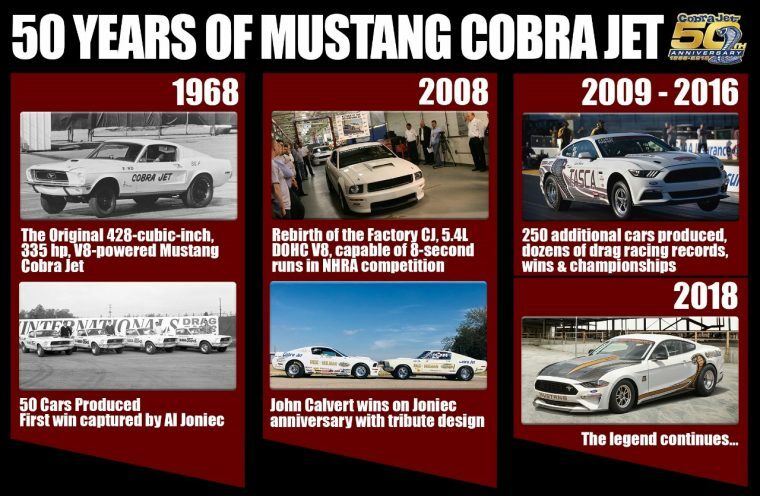 This is the quickest drag racing Mustang that Ford has ever made, capable of achieving a quarter-mile sprint in the mid-eight-second range. When the Cobra Jet takes to the strip, it’s likely that the only comparable drag race performance will be the time that Sasha Velour snatched off her own wig and rose pedals fell everywhere. It’s that powerful. The heart of the 2018 Ford Mustang Cobra Jet is the Shelby GT350’s 5.2-liter flat-plane crankshaft V8 beefed up with a 3.0-liter Whipple supercharger. This enables a top speed of more than 150 mph, making it exceptional for just plowing straight ahead really, really quickly. It will be offered with, among other things, an NHRA-certified roll cage, FIA-certified seats, specially badged racing wheels, a 9-inch solid rear axle, low-drag disc brakes from Strange Engineering. It will also be available in your choice of Race Red or Oxford White, and distinctive 50th Anniversary graphics and badges are available as options. If you want one of your own, you’ll need to be quick: Production is being limited to 68 units to pay homage to the year in which the Cobra Jet made its debut.